By that point, it’s pretty obvious you need to replace your wiper blades, but you don’t need to let it get that far if you know what to look out for. 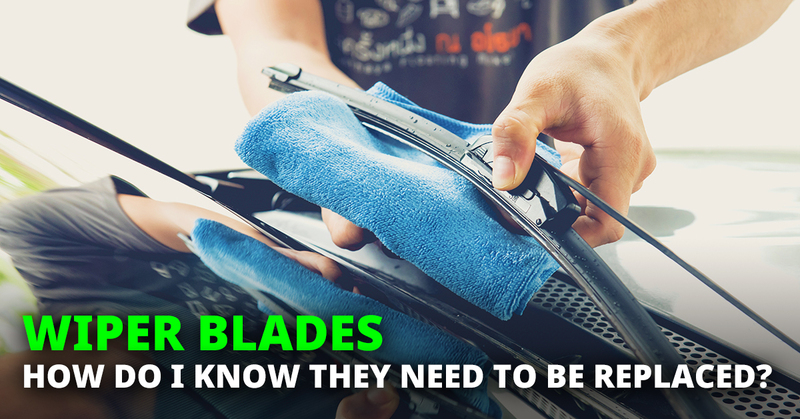 Wiper blades wear out, and they need regular replacement as they degrade over time. If you live in an area with heavy snowfall and salt on the road or even heavy rain, then it stands to reason they will break down faster. Even hot temperatures and ocean spray can affect the rubber. That’s why you need to make a windshield wiper replacement schedule that works for your conditions. It might seem fine to change them twice a year, but if you rely on your wipers and they save you from an accident, then it will be the best investment you ever make. Make sure that you inspect your wiper blades regularly. Check that the rubber hasn’t broken down, and you’ve got an even, sharp edge to the blade. Look for cracks and other signs of wear and tear. This is the time to do something about it and take your car in for a new set of wiper blades. A routine inspection now and again can also reveal problems with the wipers themselves. They can range from a broken strut right through to a stiff wiper blade socket. These are easy fixes, but if you don’t take care of them, they’ll only get worse. You should also look out for streaks. When you see streaks, it means that you don’t have an even point of contact on the glass. That might not seem like a big deal, but the combination of streaks of uncleared, dirty water and a low-hanging sun can prove deadly. The water can refract the light in unpredictable ways and overload your eyes. Besides, if you’re distracted by a flash of light on the windshield, you’re not looking far enough ahead to see what is happening in front of you. That loss of concentration can cause a massive accident, and it isn’t worth the risk. It’s the same story if your wiper blades stutter across the glass in a choppy motion or squeak. That means the blade itself is no longer straight and has hardened in some areas or developed a curvature. All of these choppy motions will leave water on your windshield and are a clear sign something is wrong. That means you need a wiper blade replacement service. You can order replacement windshield wipers online. If you do, make sure you get the right wiper blade size. If you’re not sure, then leave it to the professionals at Action Gator Tire to find the right windshield wipers for your vehicle. Don’t think that the OEM blades your car comes fitted with are always the best. They’re a reliable all-around solution at a reasonable price, but might not be the best option for your particular climate. You can upgrade with aftermarket wiper blades that are far more effective, and even treat your windscreen with a hydrophobic coating for the best results. When you know what to look for it’s easy to tell when it’s time to replace your windshield wipers. Do you think you might need new wiper blades? Then drop into Action Gator Tire and let our experts take a look! Our team of pros will help you see clearly no matter where you are on the road.